Over the last year or so, I have noticed an increase in the number of accessories sets being produced by various manufacturers. Resicast have given us some excellent stowage and ammunition sets and this is a brief look at another of their products, this time 35.2227, UK Small Ammo Boxes. Packed in the standard Resicast zip plastic bag the set of 15 assorted ammo boxes is cast in a light grey resin, whilst the 6 x 3 in mortar boxes come in a light cream resin. The casting is crisp and clear with good detail on the boxes and only a sharp razor saw and X-acto blade should be required to remove the boxes from the pour stubs. On the insert is a good colour picture to aid in painting the boxes. The contents of the pack is also listed on the front of the paper insert and in the picture each set of boxes is marked A, B, C, D and F accordingly to correspond with the listing shown above. • 5 x .303 in bulk. 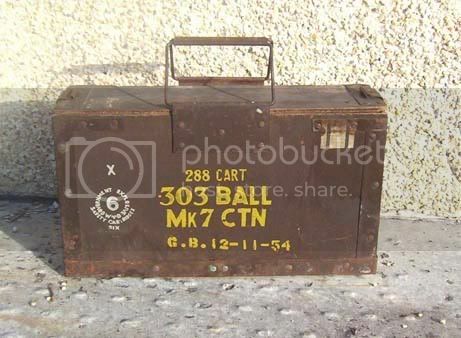 Type B, Bren boxes contained 12 filled magazines, and were also often carried on vehicles. The boxes were made of metal. The carrying handle is evident on one the sides as it should be. 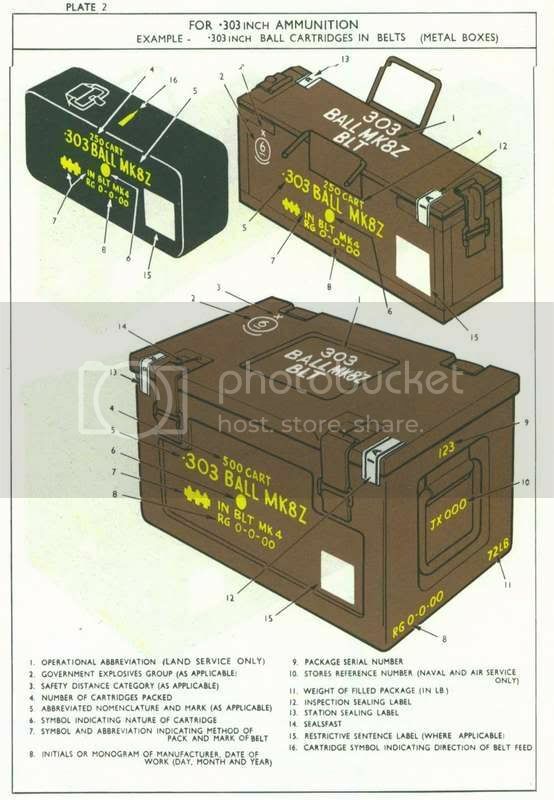 Type C, .303 in charges are straight forward .303 ammo boxes. The rds were contained in clips of 5 with 2 clips to a bandolier pouch. They contained bandoliers of 50rds, 5 bandoliers per liner, 2 x liners per box 500rds per box. I couldn’t find a specific reference for this style box, but that was the standard content. Type D, .303 in cartons are what it says on the tin. These contained 288 rds in cardboard boxes with 32 rds per box. These boxes look big enough to have contained 2 liners so I’d double the total rds. 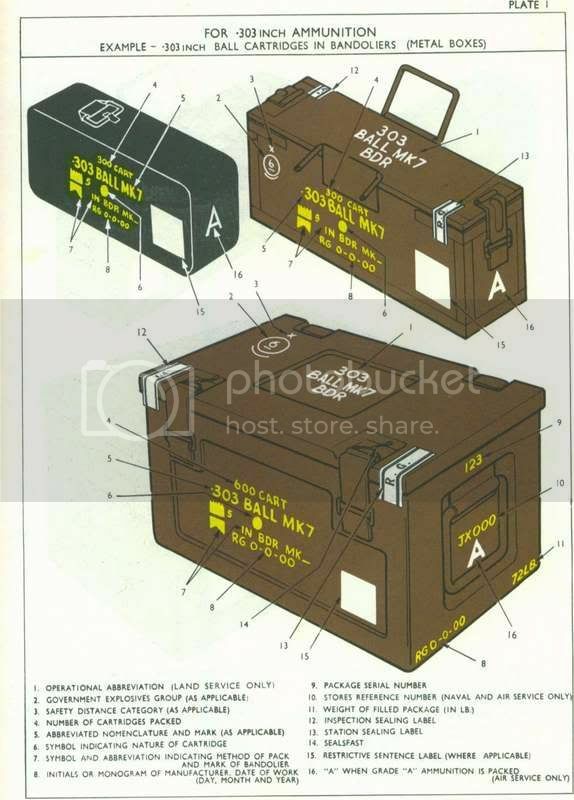 Type E, these types of wooden boxes, contained detonators or explosives and I have seen very similar types used to this day. Type F, again .303 in bulk, they contained a 1000 rds I believe but again I couldn’t find specific reference for the content of this box. I have sent off for a reference book that may help clarify the content of the boxes and if I get any further details I’ll let you know. Overall a very useful set of small stowage boxes for vehicles and dios alike. I cannot tell you if they are the exact scale measurements of the real thing, but from the references I have seen they represent a very good example of the actual boxes. Graham from Resicast measured them some years ago at Beltring so I have no reason to doubt that they are anything but accurate. 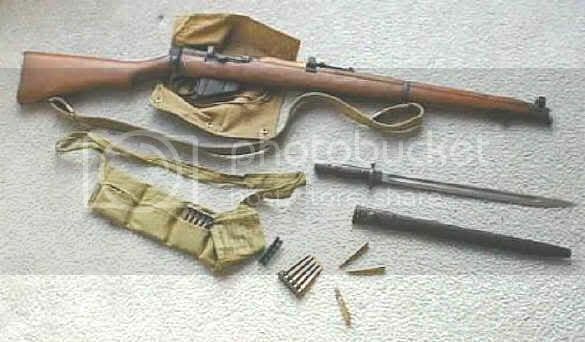 Some rope handles need to be added to the .303 in cartons boxes. The set comes with no decal markings so you may have to sources these from else where or hand paint the signage as you feel necessary. With a total of 21 boxes these represent pretty good value for you’re money and the 3 inch mortar boxes have many uses. My thanks to all those on Missing Lynx who contributed to my search for ammo box data. Highs: A nice selection of UK small ammo boxes to add that extra bit of detail to your vehicle or dio. Very well cast and displaying good detail, a very useful item. Lows: No decals come with the set so you may have to hand paint or source these elsewhere. Alan I just got around to reading this review, in the lows you mention that the decals have not been included, this must make an AM item that is purchased to make an item more accurate a very very big let down.